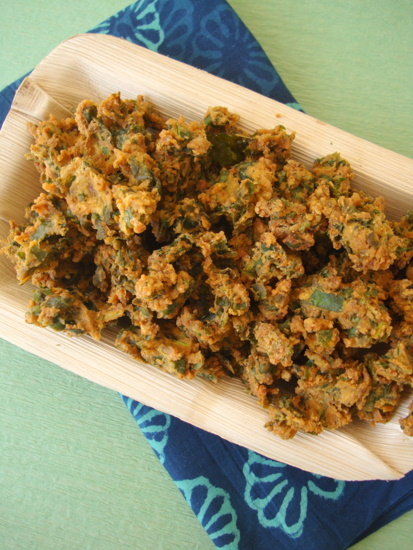 Palak Pakoda is a monsoon snack that is super easy and quick to make. I found the freshest farm grown spinach at the Farmer’s Market (rythu bazaar) and decided on making a North Indian style snack – Palak Pakoda. 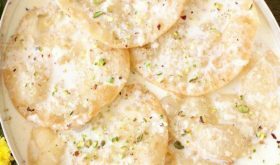 A vegetarian and vegan Indian snack that is a crowd-pleaser. I love the crisp texture and flavors that go into its making. 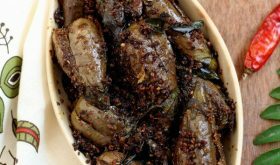 The green chilies and ginger are the main ingredients that set everything off. 2 Heat oil in a deep frying or heavy bottomed vessel. Once the oil is piping hot, reduce flame to medium and drop a little mixture of the batter to form fritters. Deep the pakodas to a golden brown color. Do not over crowd the vessel. 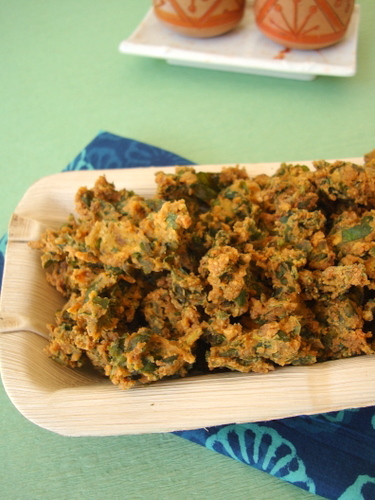 3 Serve Palak Pakoda warm with a cup of masala chai or coffee. The pakodas can be stored in an air tight container for 2-3 days. Thanks Sailu. The pictures looks really tempting. I sometimes add a bit of methi too with the other greens. I always wanted to do recipes like this, but where I live, I can’t find chickpea flour, nor rice flour. I don’t think I can use use corn or wheat flour, right? Is there a way to make chickpea or rice flour at home, without having a grinder? There is no way you can make chickpea flour without a grinder. 🙂 You can sun dry Bengal gram aka Chana dal for 2-3 days. Run in your mixer grinder to make a fine powder. Chick pea flour is essential for this recipe. Crispy pakodas tempts me a lot,quite addictive pakodas..
Nice snack for a rainy day! Thank you Sailu. I acctually tried them & they lived up to expectation ! Thanks for sharing such a good recipe. 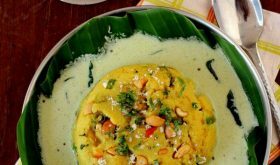 My daughter is allergic to besan, Can you please suggest an alternative to besan which can be used for pakoras? Tried this recipe yesterday and it was really good !!! 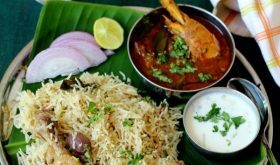 how can i prepare rice flour at home. thanks, sailu. they look very nice, i’m saving the recipe for now, will try out later. keep it up. Awesome.. 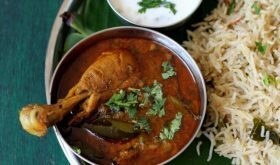 I think all Indians like these.